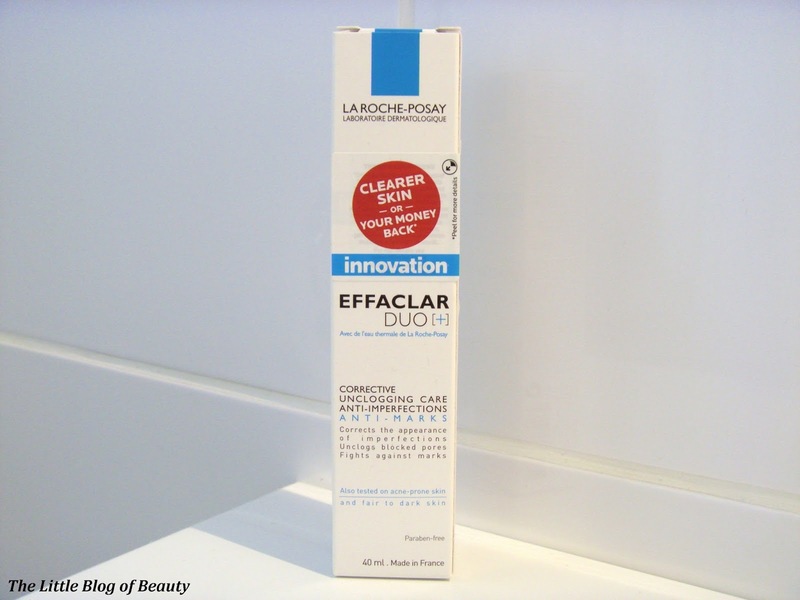 I've never actually tried a La Roche-Posay product before and I have to admit this is because I've always been slightly intimidated by their products. Being a French brand and having names that I didn't understand I've never really known what any of their products were for. It was only when I spotted a review over on Albertine's blog Dippy Writes that I discovered that I wanted to get my hands on this as soon as possible, so I headed straight out to Boots to grab one. 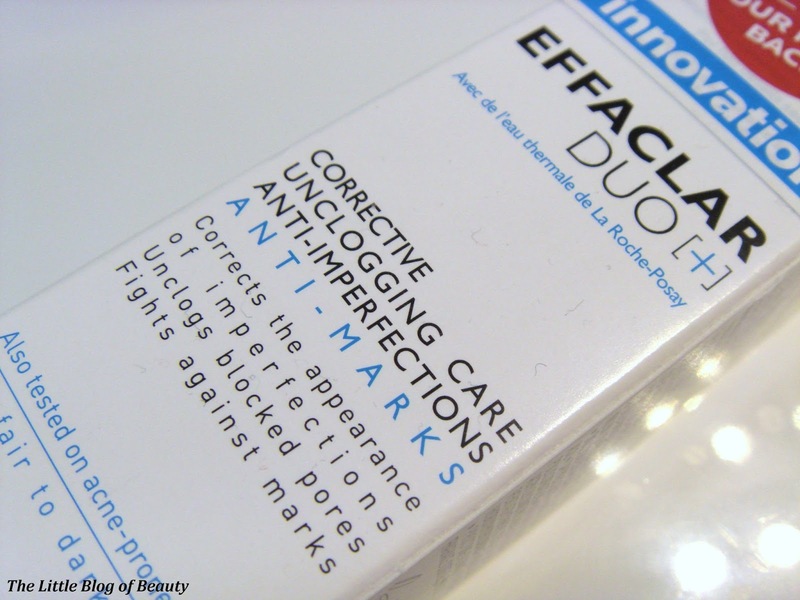 The original Effaclar Duo formula was designed to correct the appearance of blemishes, unclog blocked pores, exfoliate the surface of the skin, refine the skins texture and accelerate the repair process. The new Duo [+] formula also contains Procerad which is a patented Ceramide that rebuilds the skins surface and prevents the horrible red marks/scaring left behind by blemishes and breakouts. I've suffered with acne for many years on my face and my back and although my skin is mostly clear now my chin has always been the worst affected area and the skin there is scared and damaged. I also still occasionally get stress and hormone related breakouts, so although my skin does have some time to repair itself between breakouts it's often set back and I'm unable to try and significantly improve it. Around the time I read Albertine's post I'd also just discovered that I'd got a film role with four days worth of filming that I believe involved not wearing any makeup. Now I'm not the sort of person who won't leave the house without any makeup on, as long as I'm not suffering from a breakout at the time I'm happy to nip out with a bare face. But being on camera with no makeup on for a feature film that would be shown in cinema's and would always be there on film, that was a scary thought! So I had high hopes that this would perform miracles in the 3/4 weeks before filming started. This is a light serum type product that feels very smooth as it's applied to the skin and is absorbed almost instantly. The instructions advise to apply this to the whole face morning and evening and to use a moisturiser over the top if you have drier skin. However as it's only my chin that I want to target with this I apply it just to my chin and have slotted this in with my usual skincare routine. This leaves a matte finish to the skin and actually makes a very good base for makeup. 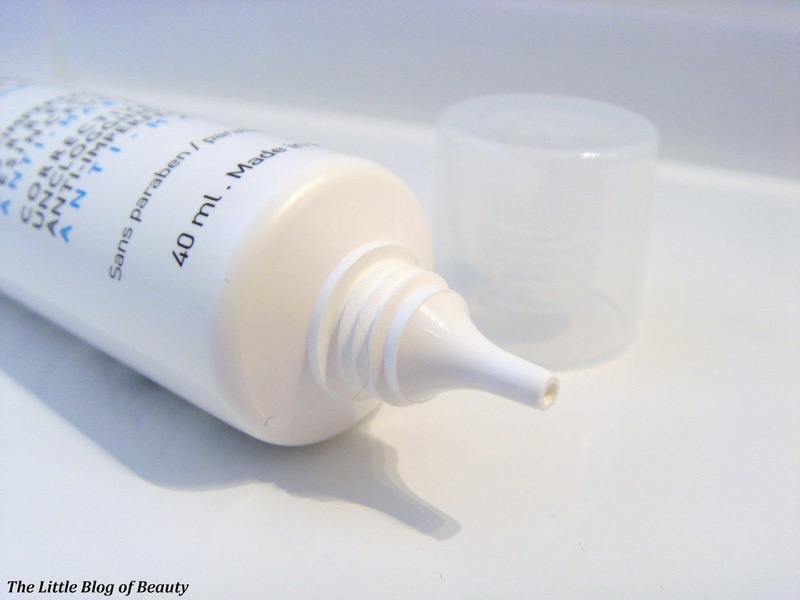 The tube features a small nozzle for dispensing the product so it's easy to dispense a very small amount if you just want to target a small area. I've now been using this for around 3/4 weeks and I'm happy to say I think this is a bit of a miracle worker. I suffered two bad breakouts when I first started using this, one stress related and one hormonal (the second of which I did treat with my prescription cream as I could see it was going to get particularly bad) but on both occasions as soon as the actual breakout cleared my skin recovered completely within a couple of days. Since then I haven't seen any signs of any new spots popping up at all. I've noticed that newer and more established scaring and redness has improved significantly and the surface and texture of my skin has improved. I have lots of small, what I can only really describe as holes in the skin on my chin that looks like enlarged pores where my skin has been damaged and not fully recovered to make a smooth even surface. These holes are now 'filing in' making my chin look so much smoother and makeup now looks so much better when applied over this area. I should have been shooting for the film this week but unfortunately after some kind of misunderstanding between my agency and the production company regarding dyed hair I now no longer have the part. However, if I was still going to be on camera without any makeup I would feel a lot more confident (more confident, but still not that confident!) now than I would have done before using this product. If you suffer from blemish prone skin and persistent scaring I would definitely urge you to give this a try. 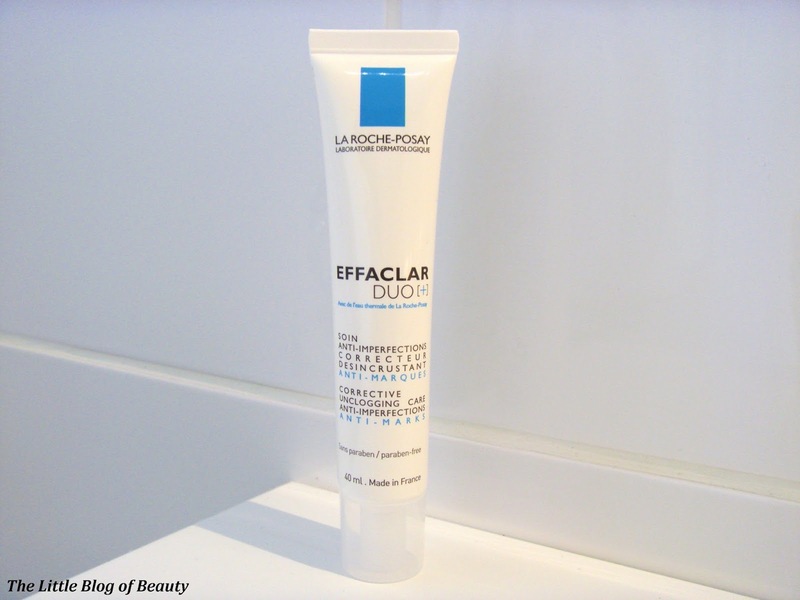 Effaclar Duo [+] is £15.50 however for the whole of March you can get a third off all La Roche-Posay products (and other French Pharmacy brands) over on Escentuals making this just £10.33. Have you tried Effaclar Duo [+]? I'm desperate to try this, I love the original formula and I'm hoping I love this one even more!